It’s been a quietly unprecedented week for Nintendo, and one that should change players’ expectations for the company’s games going forward. In just eight days, five of Nintendo’s major Switch games received downloadable content updates. Some of that DLC was free, some paid. The days of any of Nintendo games being static after launch appear to be over. Last Friday, Nintendo added four new Pokémon to its fighting game Pokkén Tournament DX as part of a $15 post-release slate of new combatants. On Tuesday, the early-March side-scroller Kirby Star Allies got a free update that added new recruitable characters from older Kirby games. On Wednesday, the September 2017 action game Fire Emblem Warriors received its third paid expansion full of new characters, this time from the beloved Fire Emblem Awakening. The game also bumped up to version 1.50 with a new level cap, some new items and support for video capture. On that same day, Super Mario Odyssey received a free update that added two new outfits for its famous main character. And, on Friday, last December’s big Switch RPG Xenoblade Chronicles 2 added new quests as part of its five-part $30 expansion pass, as well as a patch that fixed some issues in the game. Six years ago, Nintendo was just starting to put out post-release downloadable content for its games. It was late to adopt something that had become routine for other game publishers. At the time there was a lot of suspicion about the DLC companies made and wariness from players that it mostly consisted of content held back from the initial release. “Our goal is to create DLC in such a way that consumers do not feel that they have been cheated or deceived,” then-president of Nintendo Satoru Iwata told me at the time, as he explained Nintendo’s plans for its debut DLC for the 3DS game New Super Mario Bros. 2. By 2015, Nintendo was pushing hard with its DLC. Super Smash Bros for Wii U and 3DS got seven fighters and eight stages, all of which cost extra money. The mostly-multiplayer paint shooter Splatoon on Wii U got months of free updates. Mario Kart 8 also received major expansions. When the time came for Nintendo to detail the Switch’s marquee launch game, 2017’s Legend of Zelda Breath of the Wild, it, too, was scheduled to receive a pair of big post-release add-ons. With most games from most major publishers, DLC is considered a given. But as late as last year, it still seemed possible that Nintendo might continue to occasionally skip it. Super Mario Odyssey, for example, launched with nary a mention of post-release add-ons. Months after release, however, Nintendo promised the addition of a new mode to the game and some new costumes, a trickle of which continued unexpectedly into this week. For some of us who have played Nintendo’s nearly twice-yearly Kirby games, it was startling to learn just a few weeks ago that, yes, even Nintendo’s new Kirby game would receive multiple, free post-release updates. Nintendo’s flourish of DLC this week felt like the result of a considered push to update as many games as possible before March’s end. Maybe it was a Q1 goal or something. Who knows if it that’s really the reason, but the upshot is that Nintendo is now constantly updating its games. Nintendo always likes to surprise people, and some of the updates it has released have included the unexpected. For example, in addition to its paid updates last year, Breath of the Wild received a free quest to promote Xenoblade Chronicles 2. The free Kirby Star Allies update this week didn’t just add the promised new characters but also changed stages in one of the game’s bonus modes and added a new unlockable puzzle painting. It became clear some time ago that Nintendo planned to put out a lot of DLC for its competitive multiplayer games. 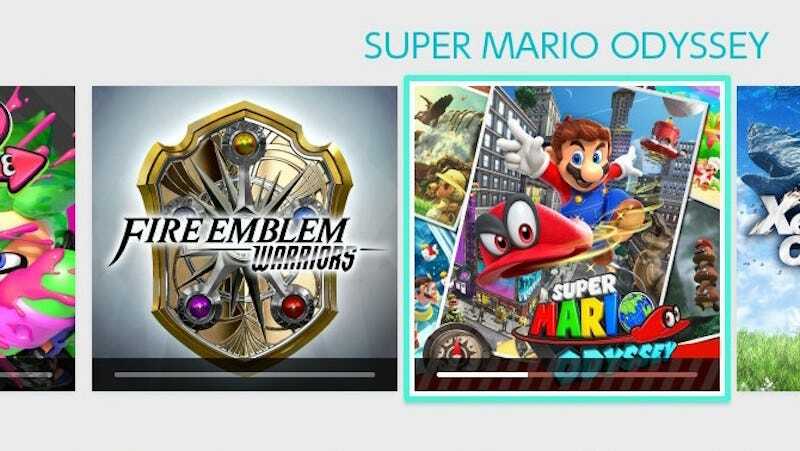 The range of updates this week in single- and multiplayer games shows Nintendo is invested in finding a way to expand just about any game on its roster.